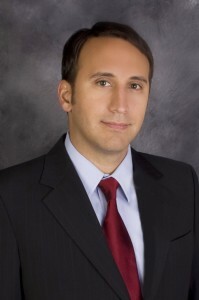 Jason Eliaser is “of counsel” to our firm and works on our matters under the direction of Mr. Markham. He is a very skillful, articulate, and personable attorney who obtained his law degree from the University of Pacific, McGeorge School of Law in Sacramento after completing his undergraduate studies at the University of California, Santa Cruz. During law school, Mr. Eliaser made the Dean’s list, published a Note in the McGeorge Law Review as a Legislative Review Editor, served as a Mediator for Sacramento’s Small Claims Mediation Program, and attended the International Business Law Program in Suzhou, China. Mr. Eliaser has been a lawyer since 2007, practicing in San Diego the entire time. He previously worked as an associate attorney for a large, respected firm in San Diego (Aldridge Pite), at which he devoted all of his time to representing large financial institutions in real estate litigation and disputes. He has represented some of the nation’s largest banks in litigation, including Bank of America, Wells Fargo, and J.P. Morgan Chase. He continues to advise lenders and also represents individuals, small businesses, and investors in all manner of real estate disputes. Mr. Eliaser is a dedicated, thoughtful, and creative attorney who is devoted to a high standard of professionalism. In his practice, he applies his legal expertise, creativity, and organizational talents to his client’s cases, and he is dedicated to providing his clients with the respect and individual service that they deserve. Mr. Eliaser is a member of the State Bar of California and the San Diego County Bar Association, and he is also admitted to practice before all of the United States District Courts within California. He is also a Certified Mediator who is in compliance with the California Dispute Resolution Programs Act. Additionally, he is a member and supporter of the Electronics Frontier Foundation, the Comic Book Legal Defense Fund, the San Diego Zoological Society, and the American Civil Liberties Union. You can contact him directly at je@markhamlawfirm.com.